Sorry I was a bit MIA this week, but I had 2 tests and spent almost all of my free time studying (with the occasional run or yoga break!). Good news is it was worth it since I got A’s on both of the tests- YEAH! 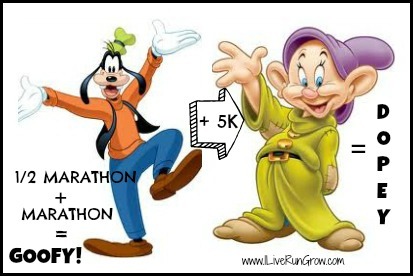 In other news, apparently all the runDisney rumors were true and they’re making the “Dopey” official…with a small change. They’ve added a 10k race (with a Minnie Mouse medal!) to Marathon Weekend and the Dopey Challenge is now the 5k, 10k, Half Marathon AND Full Marathon for a grand total of 48.6 miles and 6 medals in 4 days! I have to admit after waking up in the middle of the night 3 days in a row to do the unofficial Dopey this year I really had no intention of doing it again (I was going to “just” do Goofy), but I definitely have to try this at least once and it may as well be the inaugural year! And I thought this was a lot of medals! I guess I’ll have to update my Dopey graphic I made for last year too! 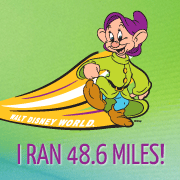 If you’re thinking about joining me and going Dopey in 2014 you can check out my recaps from the 2013 runDisney Marathon Weekend below for a little extra inspiration! Anyone else planning on going Dopey with me in 2014?? If you put in the training and take the races slow (not the time for PR’s!) I’m sure you can do it! Ack!! I would love to do at least the new Minnie 10K!! But alas, this is such poor timing for work. I will definitely live vicariously through you!! After hearing about it and after hearing they added the 10k, I am really thinking that I need to do this, at least once in my life while my body can stand it. I guess I have a few short weeks to consider. That’s the way I feel…I have to do it at least once, but I have a feeling once may be enough! Congrats on your tests!! We will hopefully (fingers crossed) be in Denver for my final two rotations next January-May so I will have to get Dopey with you the next year…I can’t wait though!! Stepping out of your comfort zone once again I see…. ! I have only one thing to say….. “GO FOR IT”. Yes, you’ll get there, you just need to keep working at it a little at a time! Haha, thanks! 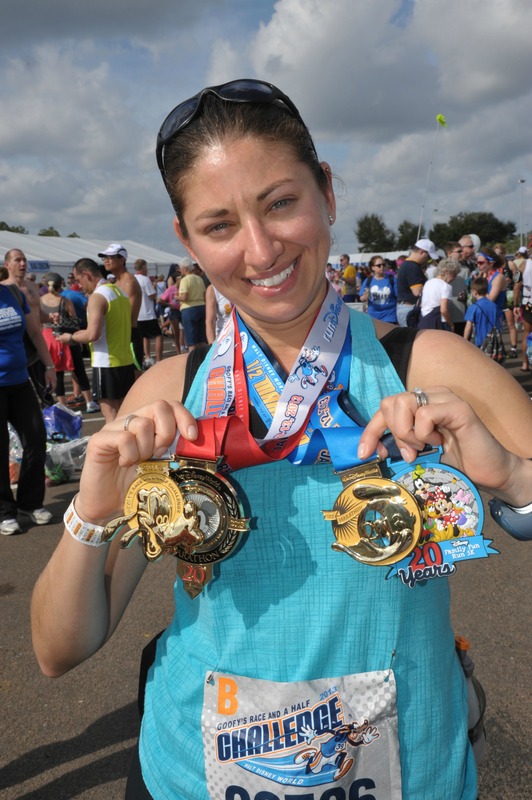 Not all races have great medals, but runDisney definitely has some of the best around! YES! totally petrified but excited! I think I’m more worried about the waking up early than the actual running! « GIVEAWAY – 1 Year YogaVibes Membership!